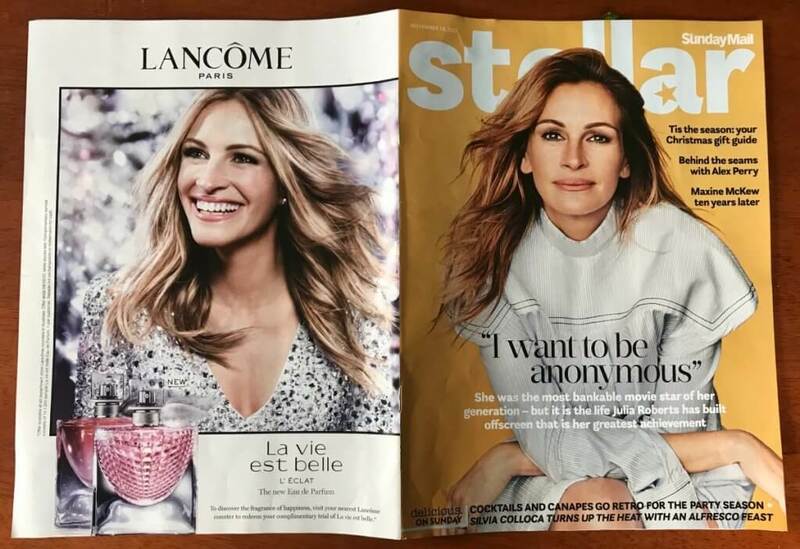 Now this was a nicely placed ad featuring Julia Roberts for Lancome. But it doesn’t quite fit with Julia’s “I want to be anonymous” line on the cover! Julia wants to be anonymous ……whilst doing ads for major brands! Positioning and placement are vital when marketing, as it can make or break a campaign. Be sure to take other placements into consideration to ensure the messages aren’t clashing.